I don't know if you could call my distaste for public speaking a fear. When I step up to a podium to read at the Christmas pageant or report the results of a project to coworkers, the racing of my heart and blurred vision seem more like a visceral flight reaction to me than the expression of a deep emotion. So when I auditioned for an event at which I'd read an essay out loud, I balked at friends who called the decision brave. It got me thinking: what is bravery, and do each of us define it differently? Who do we look up to as courageous characters? When I posed this question to my colleagues, I got as varied responses as I could have desired. Literary Reflections Co-Editor Andrea Lani describes a personal journey I'd call as brave as any travel adventure: "Fifteen years ago, I had big plans. My husband and I were on the verge of setting off for the Peace Corps in Africa, and, having already hiked the Colorado Trail, we hoped to complete the much longer Continental Divide Trail (CDT) when we returned. Then we had a baby, and, four years later, two more. We traded in a life of world travel and outdoor adventure for a staid existence of parent-teacher conferences, mortgage payments, and nine-to-five workdays. "Author Cindy Ross, however," Andrea remarked, "did not let babies slow down her adventures. A veteran of both the Appalachian Trail and Pacific Crest Trail, she, her husband, and a team of llamas set off on the Colorado Trail and what turned out to be the first leg in a many-year traverse of the CDT when her children were one and three years old. Her book about their adventures, Scraping Heaven: A Family's Journey Along the Continental Divide, chronicles snow and hail, thunder and lightning, blazing heat and near-hypothermic conditions, recalcitrant llamas and recalcitrant husbands, whiny kids and wet diapers. She also describes breath-taking scenery and heart-stopping moments of connections with her family, the kind of life-defining experiences that cannot be crammed into weekend camping trips. I wish I had been as brave as Ross and taken my kids out in the world on big adventures when they were small. Now, with my eldest starting high school next year and the other two galloping along behind, I'm afraid I've missed my chance." The question of bravery calls up a memoir with a similar theme for Editor-in-Chief Maria Scala. 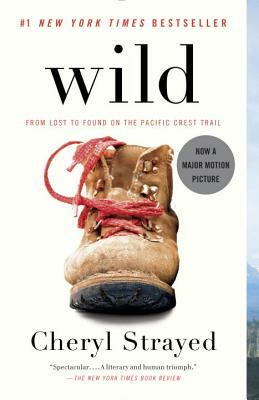 "Cheryl Strayed's Wild: From Lost to Found on the Pacific Crest Trail comes to mind immediately, when I think of bravery. Strayed's soul-searching, solitary hike along the PCT following her painful divorce and the devastating death of her mother Bobbi, whom she described as 'the keeper of my life,' was made into a stunning film directed by Jean-Marc Vallée, with a screenplay by Nick Hornby. When I saw the film at the Toronto International Film Festival (TIFF) this past fall, I wept through it, so sad for it to end. 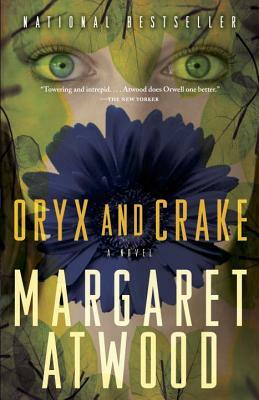 I went home and reread the book, wanting to immerse myself in Strayed's evocative journey yet again." 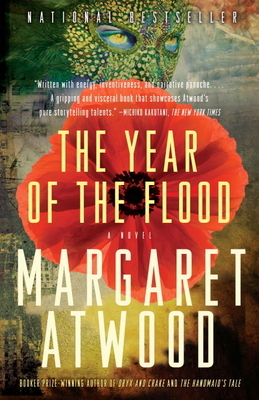 "Birthing the Mother Writer" columnist Cassie Premo Steele offers a way to feel indefatigable against this weary winter: "I am really enjoying reading Margaret Atwood's trilogy about the brave people who live through—contribute to, die during, and survive after—an apocalypse brought on by environmental wreckage, corporate greed, and geeky, controlling coders. 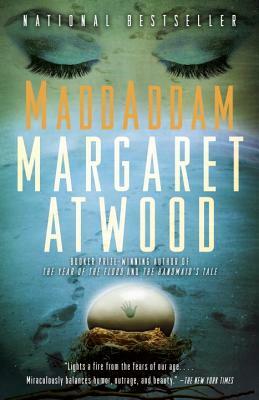 The first book, Oryx and Crake, was so compulsively readable that I finished it in one evening and went on to the next two—The Year of the Flood and MaddAddam, which I will finish tonight! Perfect reading about bravery here at the end of winter. Guaranteed to make you welcome the spring and nature's gifts more intensely." Although I suppose facing a personal challenge does demonstrate a certain amount of pluck, for me it was simply an excuse, as Cassie noted, to get my mind off the endless winter we're facing in New England. I hope these creative selections—fittingly, in a month that includes International Women's Day, all by female authors—offer reprieve to you as we slowly march into spring.